In May 2018, a Los Angeles County Superior Court judge issued a final order ruling that coffee companies are required to provide Proposition 65 warnings to consumers that coffee contains acrylamide, a chemical designated as a Proposition 65 carcinogen in the state of California. The key dispute in the lawsuit was whether exposures to acrylamide occurs at levels requiring Proposition 65 warnings. The court’s final ruling, however, will have a much broader impact on the coffee industry and ancillary businesses. Acrylamide was identified as a carcinogen on the Proposition 65 list in 1990. The chemical forms when plants and grains are roasted at high temperatures. Coffee beans are roasted at high temperatures to make them usable for making coffee beverages and to impart flavor. The roasting process creates acrylamide, and therefore coffee beverages may cause exposures to the chemical. The lawsuit began when the nonprofit group, the Council for Education and Research on Toxics, filed an action in 2010 against Starbucks and 90 other coffee companies for failing to provide Proposition 65 warnings. Proposition 65 requires businesses to provide clear and reasonable warnings prior to exposing individuals to chemicals on the Proposition 65 list. Warnings are mandated only if exposures to listed chemicals are above the warning levels established by the Proposition 65 regulations. In an unusual twist of the usual burden of proof, the statute requires the defendant to prove the negative, i.e., that no warnings are required because the levels of exposure to a listed chemical are below those warning levels. In the coffee case, the court ruled that the coffee companies failed to meet their burden of proof. The decision has caused significant controversy in various sectors. Critics of the ruling have responded that acrylamide is metabolized differently by humans than by animals. Studies of human consumption of acrylamide have thus far not indicated a link between eating foods containing acrylamide and the development of various cancers. Also, the risks posed by acrylamide are highly correlated with the quantity consumed. The dangers associated with acrylamide have only been found in animal studies, and only when acrylamide is ingested in large quantities. Moreover, numerous studies have concluded that coffee is safe to drink and does not increase the risk of developing cancer. Since the lawsuit was filed, many coffee retailers have posted signs stating that California has concluded that acrylamide may cause cancer or reproductive toxicity. Some of the signs add that the FDA does not recommend that consumers stop purchasing products with acrylamide. But the scope and the practical application of the ruling are yet to be determined. 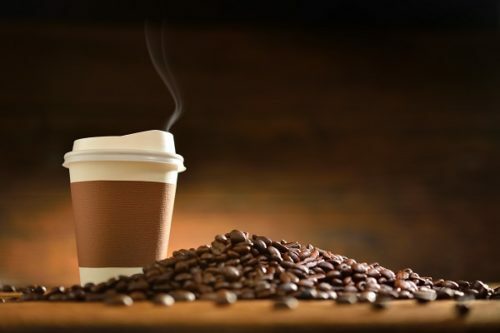 Significantly, ancillary products such as coffee filters, coffee grinders and coffee makers also may have to be sold with acrylamide warnings because of their close association with the purported exposures. Such a warning requirement would be consistent with the California Attorney General’s interpretation of Proposition 65 and prior enforcement actions. For example, in 1998 the Attorney General pursued power tool manufacturers for failing to provide warnings for listed chemicals in chemically treated wood and in concrete, not because the tools contained listed chemicals, but because the use of power tools on those products can create dusts containing such chemicals. (People v. Ace Hardware, San Francisco County Superior Court Case No. CGC-98-995893). Manufacturers also will need to be concerned about their duties beyond the borders of California. Even though the law applies only in California, as a practical matter all coffee products would have to be labeled with a warning unless product distribution is tightly controlled to prevent distribution into California – or unless the manufacturer can shift the burden to warn on the California retailer. Grimaldi Law Offices has been advising clients for over 20 years on chemical and product law. For in-depth advice and analysis on your Prop 65 compliance obligations, contact Grimaldi Law Offices at (415) 463-5186 or email us at info@grimaldilawoffices.com.